Rosneft head Sechin signs statement claiming Ulyukayev tried to extort $2 mln | Russian Legal Information Agency (RAPSI). MOSCOW, September 5 (RAPSI) – Head of Russia’s largest oil corporation Rosneft Igor Sechin has signed a statement forwarded to the Federal Security Service’s (FSB) chief claiming that ex- economy minister Alexey Ulyukayev tried to extort $2 million, the case documents read on Tuesday. 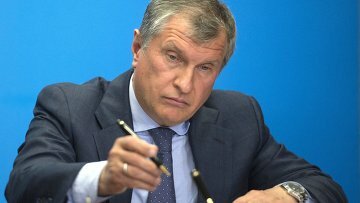 According to Sechin, Ulyukayev demanded money for allowing Rosneft to privatize Bashneft oil company. The statement was read out by a prosecutor during the trial of Ulyukayev, who stands charged with extorting a $2 million bribe. Earlier today, a high-ranking official of the Corporate Governance Department in the Economy Ministry Yulia Moskvitina testified that Ulyukayev personally initiated removal of Rosneft from a list of potential privatizers of Bashneft. On September 1, the Zamoskvorestky District Court of Moscow heard testimony presented by two witnesses for prosecution. According to Andrey Baranov, the head of the Rosneft’s Investor Relations Department, top managers of Rosneft were seriously concerned when seeing the news that Ulyukayev said the company was not an appropriate buyer as concerned oil company Bashneft. Oksana Tarasenko, the head of the Corporate Governance Department in the Ministry of Economic Development, said that Ulyukayev had crossed out two phrases from a Ministry’s report supporting Rosneft’s purchase deal with regard to Bashneft; nevertheless, the witness said, this did not change the conclusion the report had arrived at that there were no legal grounds to prevent Rosneft from purchasing the oil producer. 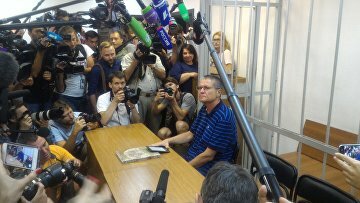 Earlier, Ulyukayev claimed he was not guilty and stated that he believed the case was fabricated. The defendant noted that there was a provocation, orchestrated by the Federal Security Service (FSB) and that there was no sound evidence in the case, aside from a testimony provided by Rosneft head Igor Sechin. Ulyukayev was arrested while receiving an alleged bribe in mid-November 2016. He allegedly demanded Russian state-controlled oil giant Rosneft’s representative to pay him $2 million for lawfully providing a positive review and evaluation of a deal that allowed Rosneft to acquire government’s share in mid-sized oil producer Bashneft. According to the Investigative Committee, the former minister threatened to create obtrusions for Rosneft with the use of his position. 12:54 05/09/2017 Head of Russia’s largest oil corporation Rosneft Igor Sechin has signed a statement forwarded to the Federal Security Service’s (FSB) chief claiming that ex- economy minister Alexey Ulyukayev tried to extort $2 million.